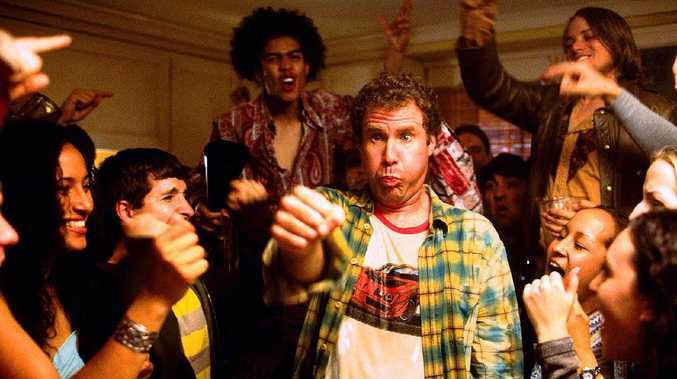 Will Ferrell, AKA Frank the Tank, had one of the great streaks in the movie Old School. SOME sporting winning streaks are meant to be broken. But some just go on and on and on…and on. The wonder mare is gunning for her 29th-straight win and her record-breaking fourth-straight Cox Plate at Moonee Valley this Saturday. And the Chris Waller-trained superstar of the turf is a red-hot favourite to gallop a little deeper into folklore with a victory in the prestigious weight-for-age championship of Australasian racing. But extended periods of dominance of sporting arenas are not new. Here's a handful of handy, history-making hot streaks. Heather McKay rocked some serious specs and a serious taste for winning. Went unbeaten from 1962 to 1981, which was when the Aussie squash icon retired. That's almost two decades of utter dominance. Lost just two matches her entire career - in 1960 and 1962 and collected 15-straight British Open titles along the way. Air New Zealand take their cutlery options in first class very seriously. Annoyingly, won a world record 18-straight Tests between 2015 and 2016. More annoyingly, won 47-straight Tests on New Zealand soil from 2009 to 2017. So we shouldn't get too upset when they keep beating the Wallabies. They are very good. 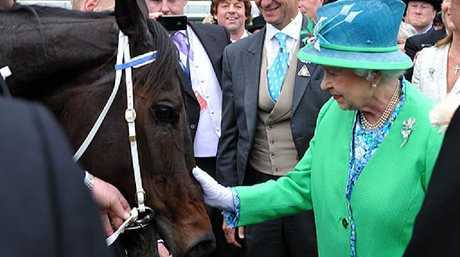 The Queen meets some nice elderly lady in a cracking hat at Royal Ascot. Seriously though, what a treat for racing types to have a superstar like Winx follow so hot on the heels of the legendary and unbeaten Black Caviar. Black Caviar won all 25 of her races between 2008 and 2013 including 15 Group One victories. 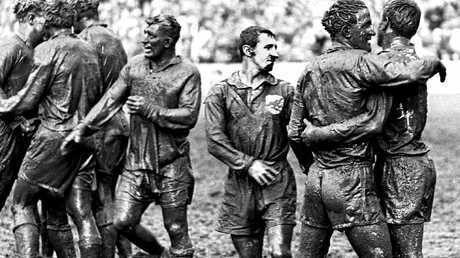 John Raper and Reg Gasnier (right) embrace after the 1963 grand final. The Dragons won 11-straight Sydney rugby league premierships from 1956 to 1966 with a few reasonably useful blokes like John Raper, Reg Gasnier, Graeme Langland and Norm Provan running around in the Red V.
Lions midfielder impresses the ladies with his guernsey over t-shirt look at Crown after the 2001 grand final. 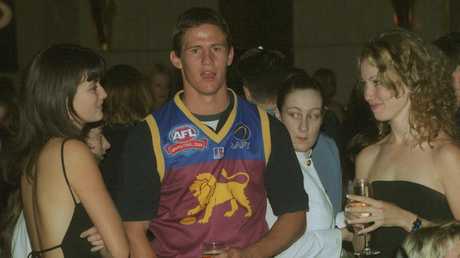 The Lions won 20-straight matches starting from Round 10, 2001 to Round 4, 2002. In between, they claimed the 2001 premiership with their 16th consecutive win to get their premiership hat-trick underway. An American player dunks over his Russian opponent at the 1956 Melbourne Olympics. 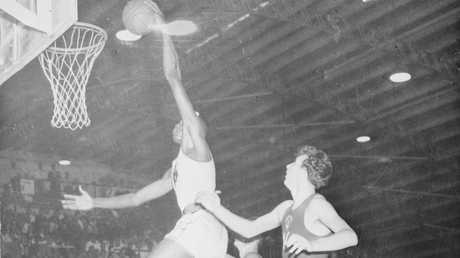 From 1936 to 1972, the Yanks' men's basketball team won 63-straight matches at the Olympics, collecting gold medal after gold medal until those pesky Russians beat them in the 1972 final. Besart Berisha lives out the dream of every Albanian child, getting that A-League toilet seat. Ange Postecoglou's men in orange went 36 games without being beaten in 2011-2012 as part of back-to-back A-League titles. Once the streak was over, they lost a club-record five-straight but bounced back with just one loss in their last 14 games to capture a second championship. Fake dreadlocks dude was really pumped with Greg Inglis in 2011. Eight-straight series wins from 2006 to 2013 is a mark that will never be broken given how close the Maroons and Blues are in rugby league's showpiece event. With Mal Meninga at the helm and the likes of Darren Lockyer, Cameron Smith, Johnathan Thurston, Greg Inglis and Billy Slater terrorising the Cockroaches, it was an unprecedented maroon reign. The Gunners went 49 matches without a loss between May 2003 and October 2004. Arsenal scored 112 goals and conceded just 35 during the streak. The Huskies women's team won 111 games in a row from 2014. The run included two US college titles which made up part of a history-making four-straight NCAA crowns. There was just something about racquet sports and killer specs in the 1980s. 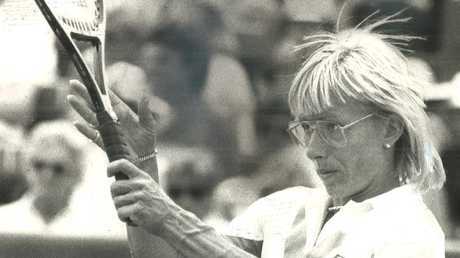 Martina won 74-straight matches and 13-straight tournaments in 1984. 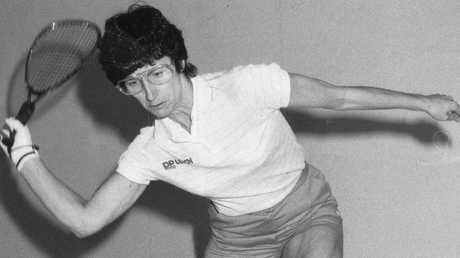 She also went 21-staright years with a tournament victory from 1974-1994. The women's soccer team won 103 consecutive matches during a five-year run from the late 1980s to early 1990s. The Tar Heels also took home nine-straight NCAA titles. 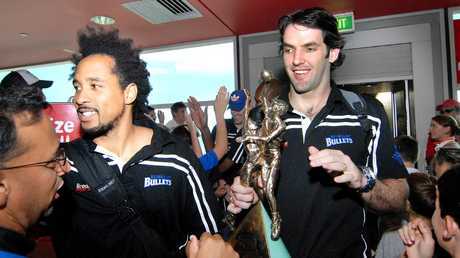 CJ Bruton and Sam Mackinnon arrive at Brisbane Airport after their 2007 title. An NBL record-breaking 21-game winning streak helped the Joey Wright-coached Bullets win the 2006-2007 title.